IM NOT HIRING ANY VIDEOGRAPHERS FOR MY WEDDING. IM JUST GO - ProudMummy.com the Web's Community for Mums. 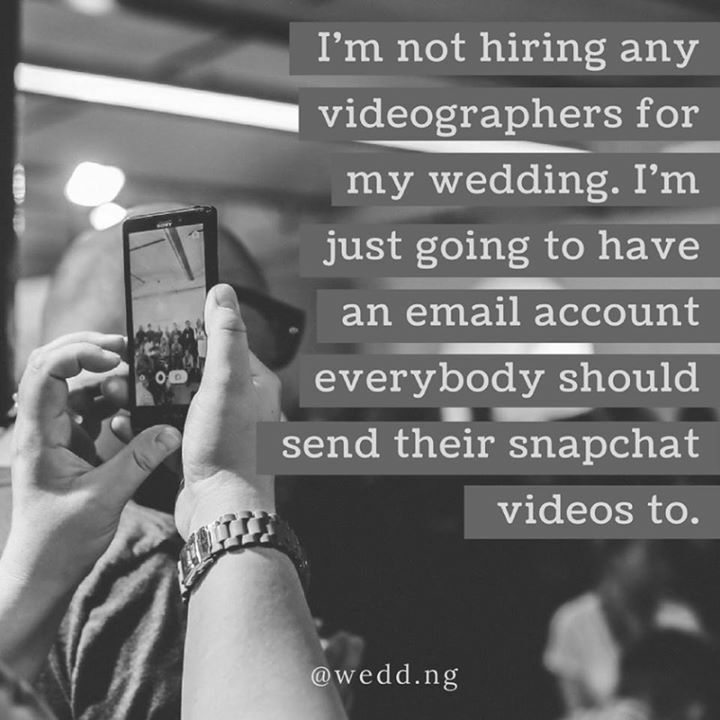 I'M NOT HIRING ANY VIDEOGRAPHERS FOR MY WEDDING. I'M JUST GOING TO HAVE AN EMAIL ACCOUNT EVERYBODY SHOULD SEND THEIR SNAPCHAT VIDEOS TO.